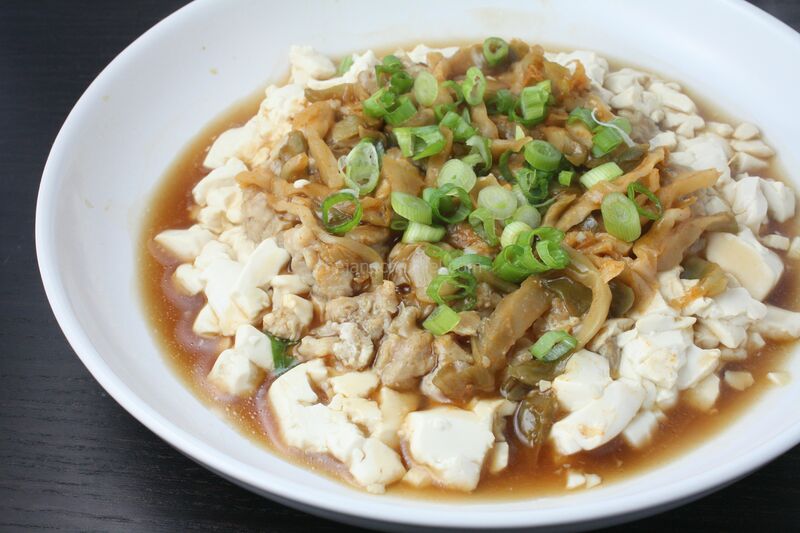 A simple steam tofu dish that combines soft and silky tofu with the flavor of the chicken and preserved pickle. Steaming only requires very few utensils and two out of three of the ingredients of this dish can be bought ahead of time (Tofu and pickle). 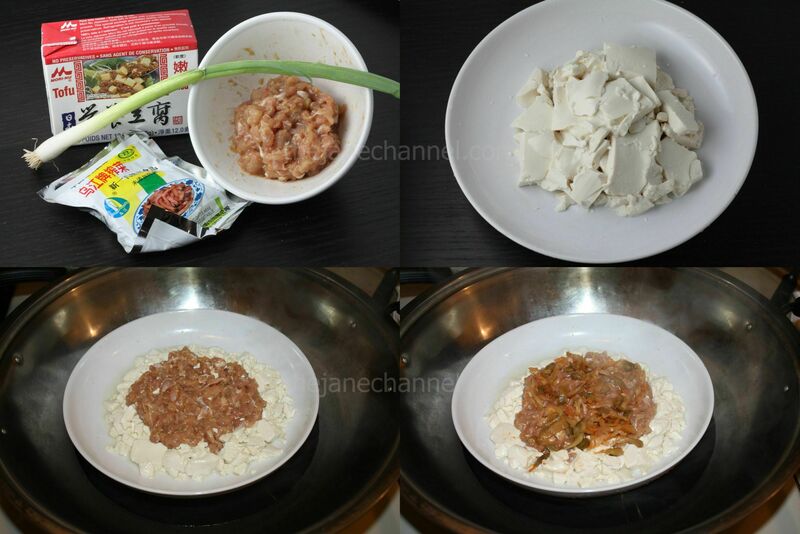 Marinate ground chicken with soy sauce, sesame oil, sugar, and cornstarch. Place in fridge for 30 minutes. Place tofu on a plate and set the plate on top of a wide-mouth wok or large skillet as the base with a metal stand to balance. (The stand can be found at Chinese supermarkets). Make sure the water is about 1 inch beneath the plate. Cover and steam over boiling water for 10 minutes. Remove and carefully discard the liquid on the plate. Top tofu with ground chicken and preserved pickle. Steam for 10-15 minutes or until chicken are cooked through. Sprinkle green onions on top and drizzle with soy sauce and sesame oil.